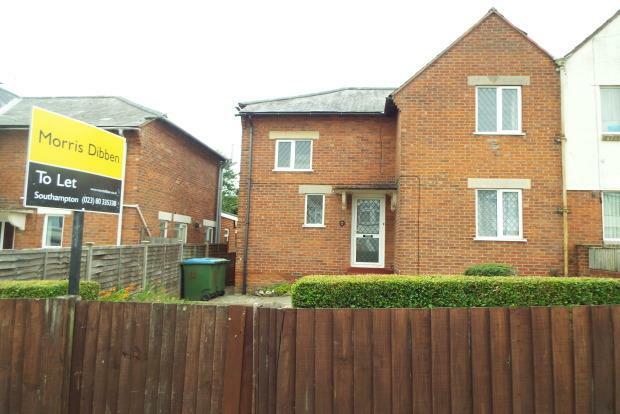 4 Bedroom House To Rent in Southampton for £1,300 per Calendar Month. STUDENT PROPERTY FOR JULY 2019 Furnished house available on Mayfield Road. The property comprises entrance hallway with cupboard off, lounge (on 1st floor), modern kitchen with door to rear garden and white goods including electric cooker, fridge/freezer and washing machine, 4 double bedrooms (2 ground floor and 2 1st floor) with double beds, wardrobes, drawers, desk and chair, bathroom with white suite including WC, sink and bath with overhead shower. Further features of this property are front garden, permit parking, double glazing and gas central heating. The landlord maintains the gardens. Mayfield road is ideally situated for access to Southampton University. M27 and M3 motorway as accessible from The Avenue and Thomas Lewis Way. The property is available end July 2018 and viewings are through Morris Dibben Lettings.